As I've said before, I'm a collector of a lot of things. 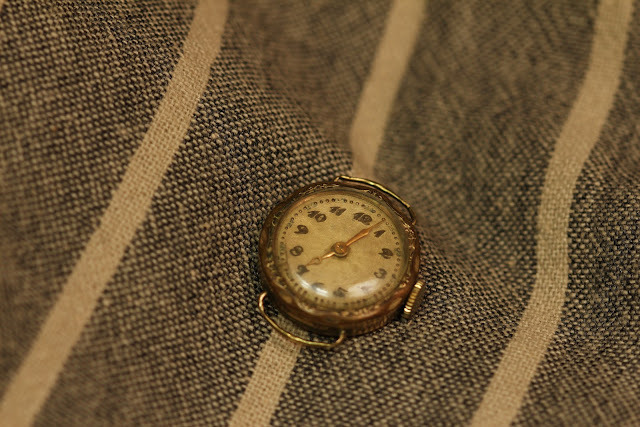 I'm always on the hunt for new things to collect, albeit never consciously, it just falls in my lap. One of the things I started collecting years ago is watches. 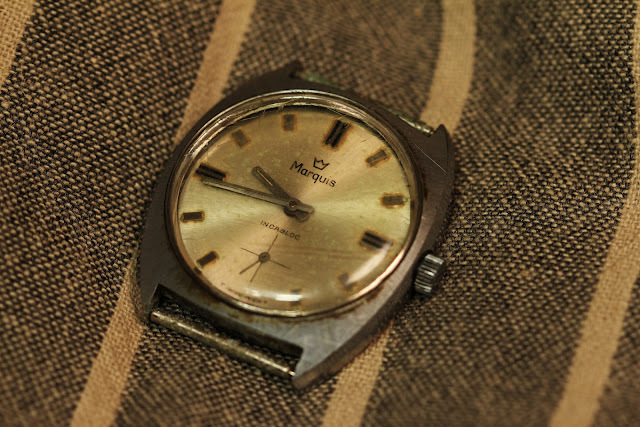 It all started, when my parent's gave me a Ole Mathiesen watch, when I graduated high school, which replaced some awful quartz watches, I had been wearing until then. Nowadays I almost never wear quartz watches, although it can be funny sometimes. 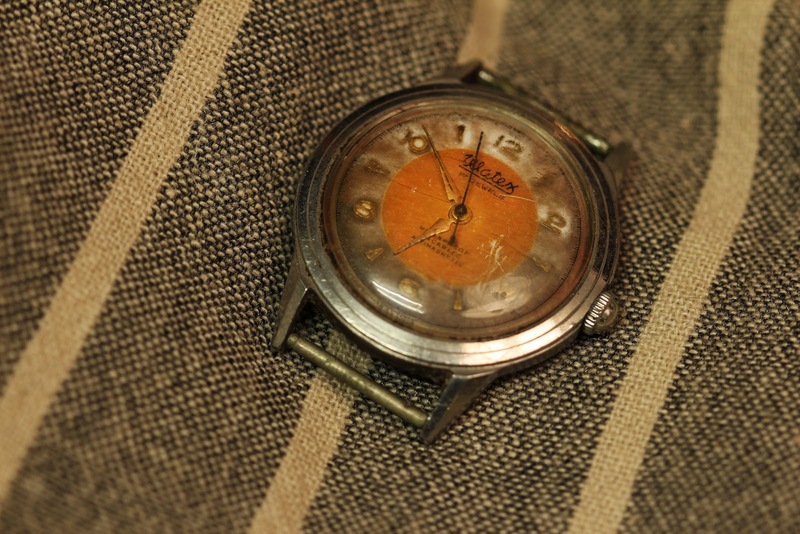 I wanted to show off my collection of watches, which are almost entirely vintage. Not because they are good - a matter of fact most of them are completely worthless - but because I think old watches have an inherent beauty, that a lot of new watches don't have. 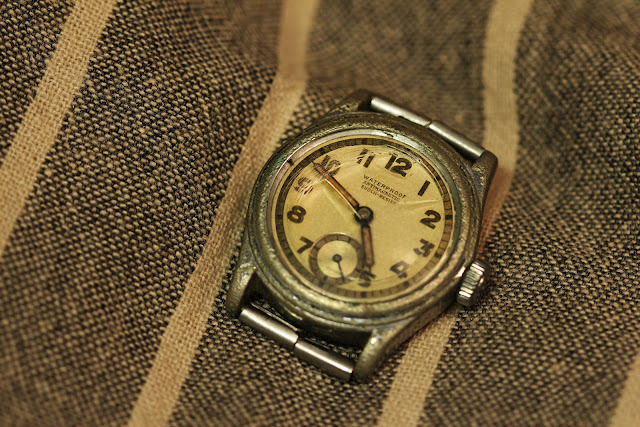 Most of my watches are either given to my, found on flea markets or bought in antique stores, so none of them represent any real value besides affection. And if you are wondering, why there are some women's watches among them, I can only say, I've never never passed on a watch, just because it is a women's watch. I'm sure, they'll all make some friend or girlfriend happy. A little about the concept. 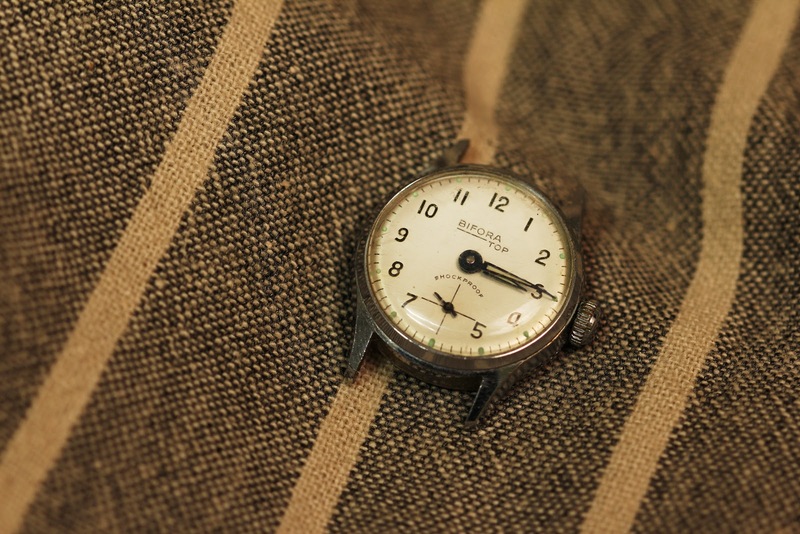 All photos are shot by Niels Hjorth in series of 5-6 watches on a different background. The background is found in another collection of mine - my big collection of vintage fabrics. 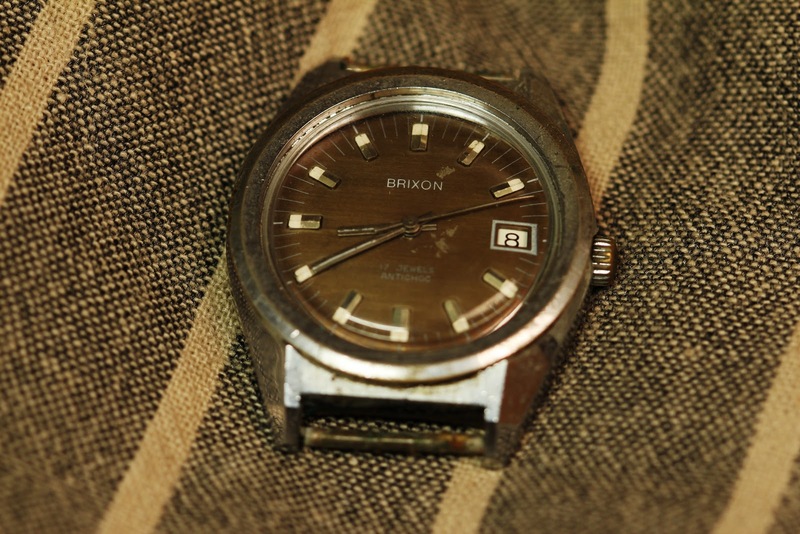 No editing has been done to photos in order to show the grime, dirt and patina on vintage watches. First one is an old Lanco kinetic from around the 70's - don't remember the model. The other is a Tissot, don't remember the model either, but the strap is the original from the 50's. Dreaming about finding af Jürgensen watch. Hi thank you very much for sharing this picture of your watch collection and thanks for taking the time to comment. For some reason I like that kind of leather strap very much, and I have been working on a prototype myself a long time ago, but I wouldn't be able to pull it off myself, I believe. It does however remind me of an old man, I once knew, that used a strap like that, but this arms and hands were big from years and years of hard labour.